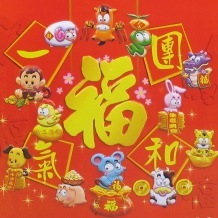 How did each year come to be assigned with one of the 12 animals in the Chinese zodiac? Here, we will tell you the legend that surrounds the origins of the Chinese zodiac and share our links for some fun and creative Chinese New Year activities! Long, long ago, the Jade Emperor decided that he would like a way to measure the passing of time. He called upon all the creatures of the kingdom to take part in a race to determine which 12 animals would be granted a zodiac year. The start of the race was along the bank of a fast-flowing river, which the animals would need to negotiate to reach the finish line on the other side. The rat, seeing that he would have difficulties in crossing the river without being swept away by the currents convinced the kind and good-natured ox to carry him across the river. Once across, the rat promptly leapt off the back of the ox and claimed first place! Poor, old ox had to settle with second. Shortly afterwards, came the tiger, who was exhausted after swimming against the strong currents of the river. With a hoppity hop, along came the rabbit, who had crossed the river by hopping along some stepping stones before falling into the water and being washed to the shore on a floating log. In fifth place came the mighty dragon, who flew over the finishing line breathing fire out of his nose. “Why did you not come first?” asked the puzzled Jade Emperor. The dragon explained that along the way, he had to stop and make rain for all the people and creatures in the world, which caused him to be delayed. Then, whilst flying over the river, he noticed a little rabbit set adrift on a log, so he blew a puff of wind to carry the log to the shore. Pleased with the dragon’s acts of kindness, the Jade emperor granted him the fifth place in the zodiac. Soon after, came the sound of horses hooves. However, the sly snake had hitched a ride by clinging onto one of the horse’s legs and when he wriggled out, surprised the the horse, giving him time to claim sixth place. Horse had to be content with taking seventh place. Sheep, monkey and rooster arrived next, having worked together to get across the river on a raft that the rooster had found. Eleventh place went to the dog, who despite being one of the best swimmers, decided to have a good bath because the clean water of the river was too big a temptation. Bringing up the rear was the pig, who got hungry during the race, and feasted. After the feast, he fell asleep, and it was not until after he woke that he completed the race! Why not try making some yourself?